Just call me Lord of the Flies. My new family must be wondering who they’ve invited into their home after tonight’s behaviour. We’re having a quiet drink while watching the french version of Wheel of Fortune, when someone asks me about my day in town. 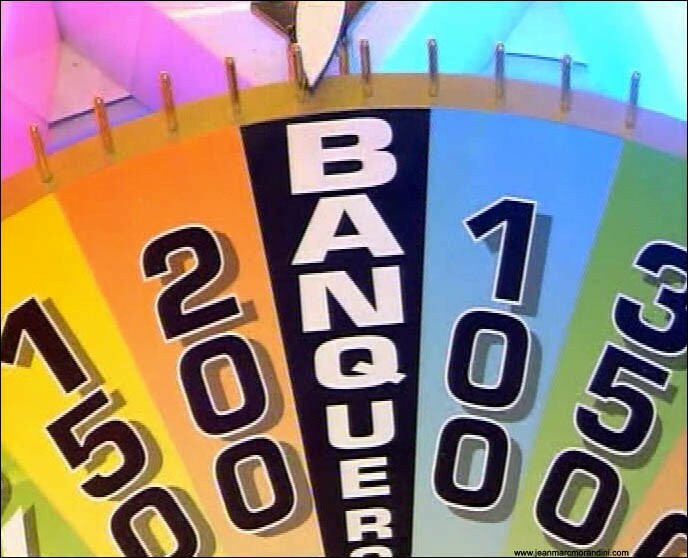 The Wheel’s empty at this point. We talk briefly about the visit to the Tourist Office. A contestant chooses an H. We talk about the group, how it’s mainly women, and as I’m talking, a fly is buzzing around. I take a swipe at it, somehow catching it, while still mid-sentence. While still talking, I open a window and throw out the fly. I turn around to see that everyone is looking at me, and that for the second letter, the contestant has chosen a C. “Henri Leconte” I say casually, and as it turns out, correctly. They look more disconcerted than impressed. My Bordeaux experience seems to be a string of slightly surreal moments. On another evening early in the month, I’m part of a game apparently taken from a scene in a french movie. There don’t seem to be too many rules, just two people with hands held together, fingertips touching, who then take turns to slap each other with varying force. I’m playing this game with a six year old girl, and she’s belting the hell out of me, laughing hysterically. It seems to break the ice. Pineau – goes with anything! I’ve joined the family in being addicted to Split, a simple but fun card game. We play in a small group, with players changing with each game. The games usually go past midnight, and I’m introduced to Pineau, a french aperitif. Being the most generous in my servings, I quickly become the official pourer. I’m not sure exactly how playing cards is benefiting my french, because almost everyone in this family speaks perfect english. I do seem to be understanding more, but I suspect that might be thanks to the Pineau. I’m now known to the family as Momo, apparently after Maurice Chevalier. Most of the others have their own nicknames – Titou, Kiki, Marco etc, so it’s definitely a sign that I’ve been accepted. I join various members of the family for sports practice, playing soccer with two of the brothers, and accidentally leaving black marks all over a squash court with another. One of the family traditions is weekend jogging around the Parc Bordelais, closely followed by another tradition of various sisters reaching for the cigarettes. We live walking distance from the main football stadium, the Stade Chaban-Delmas, and I get to my first European match, Bordeaux against Montpelier. The atmosphere is incredible – the trumpets, the chanting of the fans, the fireworks. Fortunately Bordeaux won, so the fans went home happy. 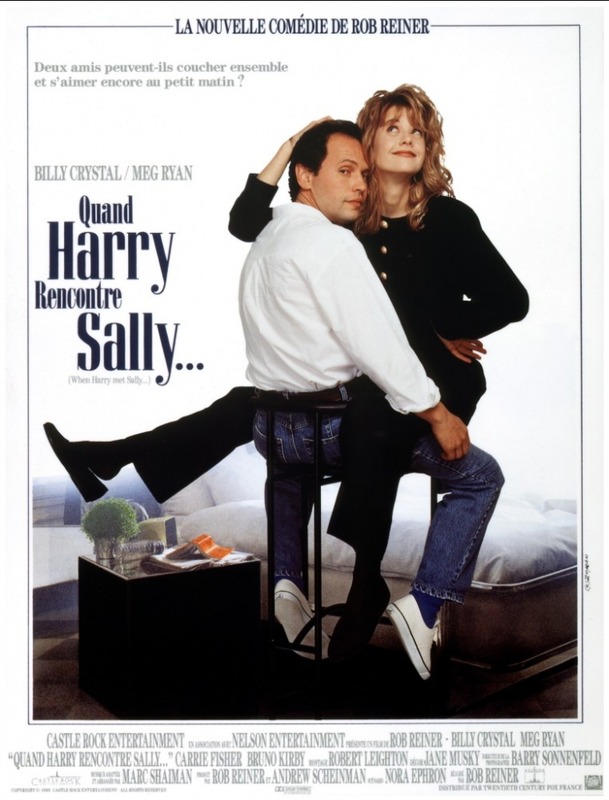 I also get to my first and second movies in France, seeing “When Harry Met Sally” and the substantially less successful “Ishtar”. It’s my first experience of seeing movies in rooms with only 30 seats – this will eventually reach New Zealand. I see both movies years later, and they make more sense now, although Ishtar is still probably better heard in French. One of my new sisters is an english teacher, and her class has never heard a New Zealand accent. One of my tasks is to record various articles from Time magazine as dictation for her students. I’m not sure what they make of it. I’m told during a late night out that when I sing, I have a german accent. I’m not sure how that happened – it can’t be the Pineau; maybe it’s the german beer. I don’t think I could keep up this pace at home. Christmas is a very important time for my Bordeaux family, and the traditions start with a visit to the Cathédrale Saint-André for Midnight Mass. I’m not normally a church-goer, so this is quite a spectacle. I hope no-one asks me any questions about religion. The Cathedral is a beautiful building, consecrated in 1096, but with most of the current building dating from the 13th to 15th centuries. Apart from the fact it’s not summer, and I’m not dressed in a t-shirt and shorts, the next departure from the New Zealand Christmas experience is that we’re not allowed to open our presents until 2pm! And I think they brought that forward just for me. The extended family is here, from one great grandparent to several great-grandchildren, as well a few unrelated guests, so opening presents takes quite a while. When all presents are finally opened, the feast begins. I wish I could remember more of what was actually served, but all I can recall is the number of courses and feeling very full afterwards. 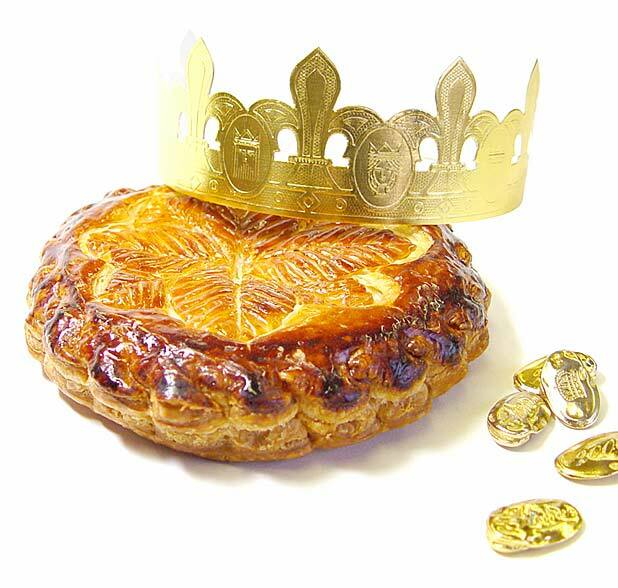 I know that we eat La Galette – the cake that conceals “la fève”, and whoever gets the slice containing the fève becomes King or Queen for the day, complete with Couronne. I’ve read that this is usually served for La Fête Des Rois, in early January – after my departure. I think this has been brought forward for my benefit as well. During my brief reign, I make a very benign Monarch. This entry was posted in Travel and tagged bordeaux, Cathédrale Saint-André, Christmas, Fève, france, Galette, Henri Leconte, Ishtar, La Fête Des Rois, Meg Ryan, Pineau, trabel, Wheel of Fortune. Bookmark the permalink.